The holidays are upon us. Tis the season to be jolly and all that. But for many people, this is the season of stress and depression. People tend to push themselves beyond their limits. Overspending is rampant; people overindulge in food and drink; there is increased stress due to travel and obligatory family get togethers. And often, our sleep suffers and we have less time to recharge our batteries. This holiday season, I am committing to a whole new approach. In order to be fully present for my loved ones, I need to take care of me. 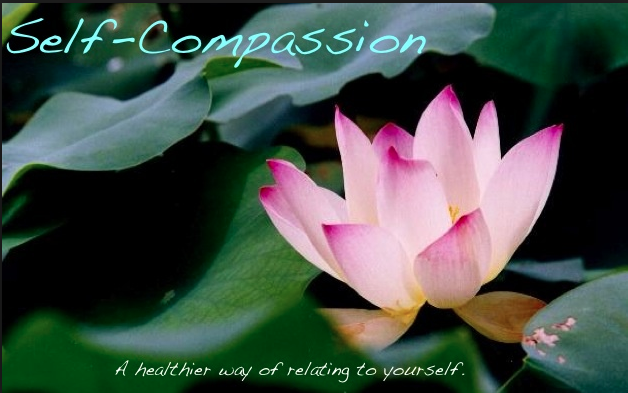 My plan centers around Mindful Self-Compassion; with an added focus of paying attention to what my body needs. During the holidays, we are so quick to give our time and energy that we can end up feeling completely depleted. This holiday season, I plan to take the time each day to check in with myself: “How am I feeling?” “Have I done something good for me today?” This will require setting boundaries with others as well as myself. I don’t have to do everything for everyone these holidays. I commit to taking time to just be; to go on walks and to read. I don’t have to bake the cookies and host the community carolling party. I can choose to stay home and read with a cup of tea instead of joining one more holiday party. Self-care and self-compassion bring me peace and joy, which in turn will allow me to bring peace and joy to those around me. Part of my plan to take care of myself will include making sure I have plenty of time for me, and just plenty of time period. The holiday season tends to be a time of rushing around, hurrying from one event to the next. This year I plan to focus on many mini moments of mindfulness as Andy Puddicombe refers to it in his program, Headspace. And I’ll make sure I make time in my busy schedule to meditate. I know that those 15–20 minutes in the morning make all the difference to the other 23 + hours in the day.